This lovely 100% pure Merino wool scarf is soft and warm. 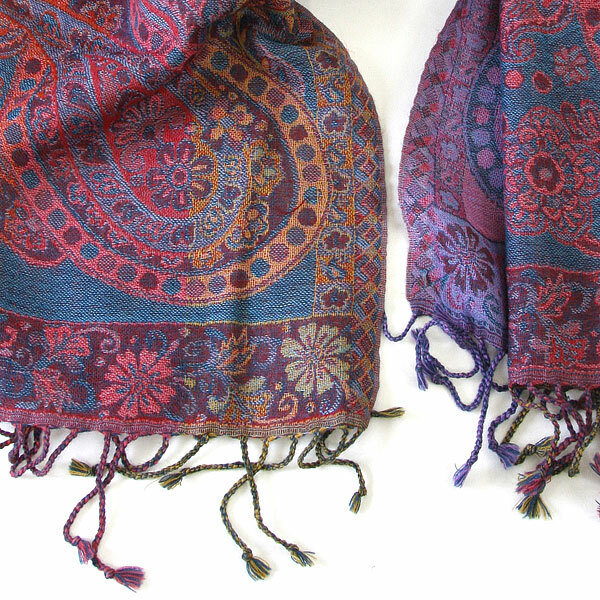 Woven on Jaquard looms in classic Paisley designs that never go out of fashion, these scarves are equally suitable for both men and women. The design of the scarf is woven in tones of pinks, purple, orange s on a background colour of dark blue/green. 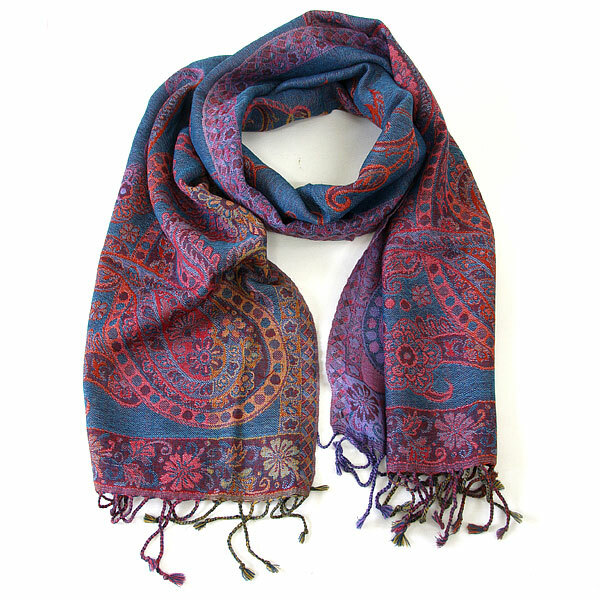 This scarf is also available in a 'Classic Design' of red / orange colours and Aubergine and Navy tones.